One of the most important appliances in your home is the dryer. It’s frustrating and inconvenient to your routine when the dryer isn’t working efficiently. You may even have higher energy bills when the dryer isn’t in tip-top shape, increasing your frustration. Our team of dryer repair experts has been serving the Philadelphia area for many years. We come to your home and diagnose the problem quickly. No matter what the problem is, we fix the issue and clean up. 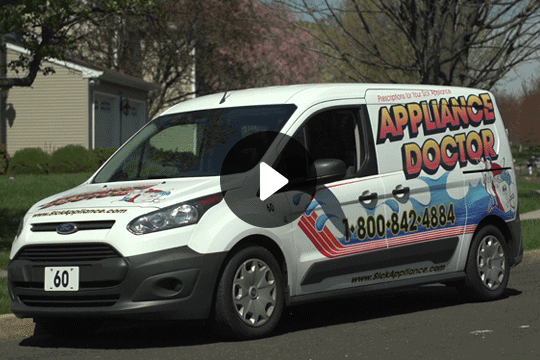 When you think of “appliance repair near me” think of us. Which Type of Dryer Is For You? Electric – Electric dryers are less expensive and easy to install. Most homes and apartments have outlets for electric dryers and the appropriate venting. Gas – Gas dryers cost more than electric up front, but over time, they cost less to operate. Specialized venting is required, and many apartment complexes may have washer and dryer hookups, but not offer gas services. When the dryer won’t run, it could be the belt or a bad thermostat. Before calling us, check the breaker to ensure it isn’t an electrical issue. If the dryer turns, but doesn’t produce enough heat, this could be a blown fuse or a faulty thermostat. Again, make sure to check the breaker. If the problem is with the motor or inside the dryer, let one of our professionals make repairs to ensure the job is done right the first time. Another common problem is that the dryer won’t spin. Typically, this is due to a broken belt, but it could also be a bad motor or roller. We can fix this problem quite quickly without too much disruption in your routine. When the dryer is overheating or getting too hot, this is a dangerous problem as it can cause a fire. It could be faulty heating coils, a bad thermostat or clogged vents. Address this situation quickly not only to keep your clothes looking their best, but to prevent further damage. When your dryer isn’t drying clothes correctly, it increases your energy bills, causes an inconvenience and creates safety issues in your home. Call Appliance Doctor at 215-628-2800 or use our easy online contact form to schedule your appointment for dryer repair with one of our professional and experienced technicians. Serving Philadelphia, Bucks, Montgomery, Delaware, Chester County and surrounding! Nobody plans for their appliance to break. That is why, in most cases, you can schedule same day service. We are here when you need us the most. Our professional technicians are trained and certified to work on numerous appliances to keep your home or business running! 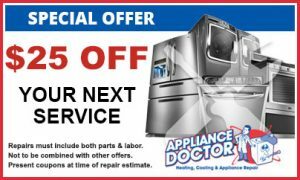 At Appliance Doctor we always provide you with up-front pricing prior to starting any repair. All repair work is 100% fully guaranteed. We are a family owned and operated business which means you receive a personal approach treating customers like family. 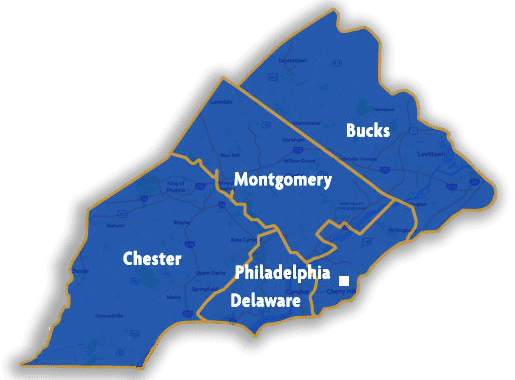 SERVING ALL of philadelphia, Bucks , montgomery, Delaware counties & select chester county areas. REQUEST AN APPOINTMENT FOR SERVICE TODAY!